There are thousands of places to lay one’s head on the Camino de Santiago. We chose the most pampered ones. As a result, our Camino was unique. We missed out on snoring and bedbugs, and we didn’t share a bathroom with 30 others. We did miss out on communal meals, though, and often settled for Meal del Dia—which we definitely were tired off by the time our travels ended. We stayed in several amazing hotels and are sharing our reviews of all our Camino hotels so that Pilgrims can make their choices with a little more knowledge. We met many Pilgrims who hoped to spend a few nights in hotels to take a break from the albuerge crowds and there are a few hotels that are definitely worth it. Our choices are not “the choices” to make on the Camino, they are simply our choices. We have the highest respect for those who stayed in albergues every night. But, we weren’t among those. We would rate two of these hotels as “Perfect.” Hotel Posada Real Casa de Tepa in Astorga and Hotel Emebed Posada in Castrojeriz are worth the price and effort to stay–and we loved them. We absolutely adored the styles of these hotels and that was only topped by amazing service from the proprietors and staffs. 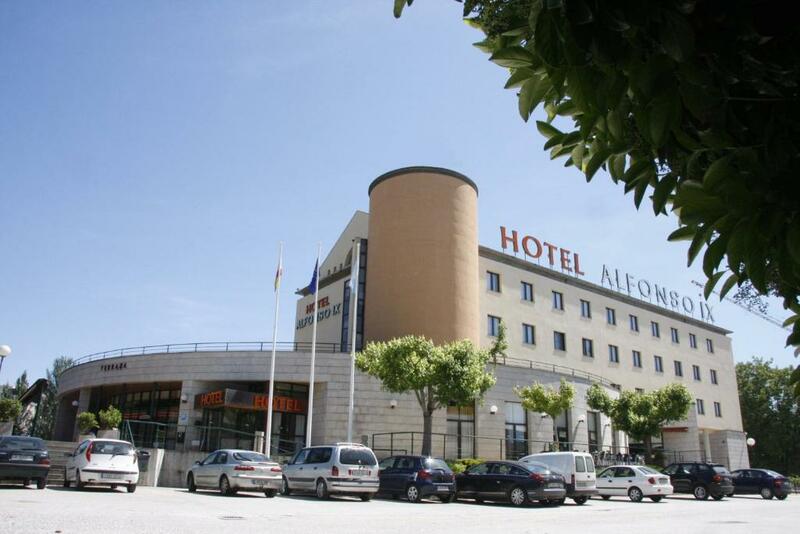 Here is our list of hotels where we stayed from Burgos to Santiago. Amazing!!! We loved this hotel and the two women who ran it. Walking out of Burgos and into Castrojeriz was a long day and we had a tough time finding this gem. When we did, we knew we were home. 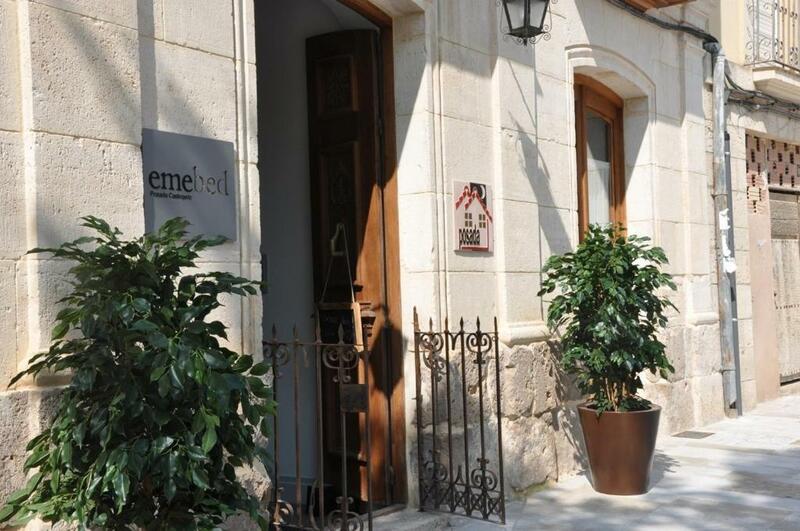 Hotel Emebed Posada is stylish beyond words. Our room was large, although less historic than others where we had stayed, however the service was amazing. We paid an extra 5E to have all of our clothes cleaned, and another 5E each for a private dinner in their restaurant. The managers asked what we wanted for dinner…we chose Bolognese..and they made it and served it. We absolutely loved this hotel, with its underground connection to the great Castrojeriz tunnel and its terrace overlooking the surrounding plain. The two women running the hotel were keen to meet any request we had and they couldn’t do enough to make us comfortable. We were sad to leave it and have reminisced often about this hotel in the past 30 months. Cons-Tough to find, but worth it. The Hotel Dona Mayor is located about one block from the main town square and has a contemporary feel. The day we arrived had been a challenging one, including the sharp assent and descent after leaving Castrojeriz. Our room featured an oversized soaking tub and a Scandinavian feel. Service was great, the clerks were very supportive and the entire feel was topnotch. Perhaps it was the fact that we had checked out of a perfect hotel in the morning, that we didn’t appreciate what a great spot this hotel was. In any case, it was excellent, but was missing the extras that we enjoyed at Hotel Emebed the night before. Pros-Terrific location and excellent front desk. Room was very nice and spacious. Definitely one of the better hotels. Cons—None really. Just a little short of perfect. 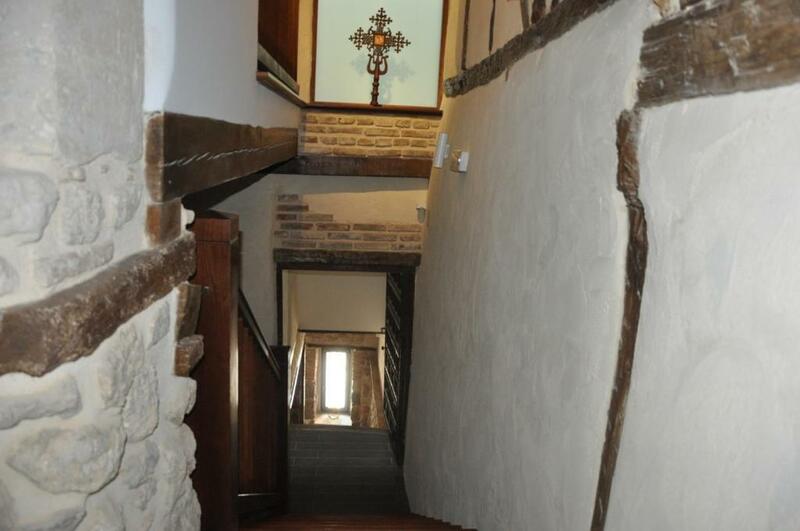 If you’d enjoy staying in a converted ancient monastery with attached historic church and Gregorian music playing softly in the reception area, this is the place. We were knocked out by this wonderful hotel located some distance from the main square of the town. The grounds are big and beautiful. The church is historic. The restaurant was excellent. We loved it all—except perhaps the room, which was quite bare and lacked much style. We ate a great late afternoon meal in the restaurant. We toured the church. We soaked in all the history we could and came away, believing it was one of the top hotels we visited. The rooms aren’t great, but this hotel is worth visiting. It is a special treat. The church is very cool. The monastery feel to the corridor leading to the room was cool. We loved it. Pros-It’s a converted monastery—c’mon you’re not going to find anything that matches it. The restaurant was fun. Cons-The room was quite nondescript. It was raining quite hard when we walked into Sahagun and we remember the difficult time we had finding the hotel, which is located in a very out-of-the-way spot for Pilgrims. What we encountered was a large, newish hotel that couldn’t compete with the majesty of some we had visited the days before. We were therefore nonplussed about our stay at this hotel. 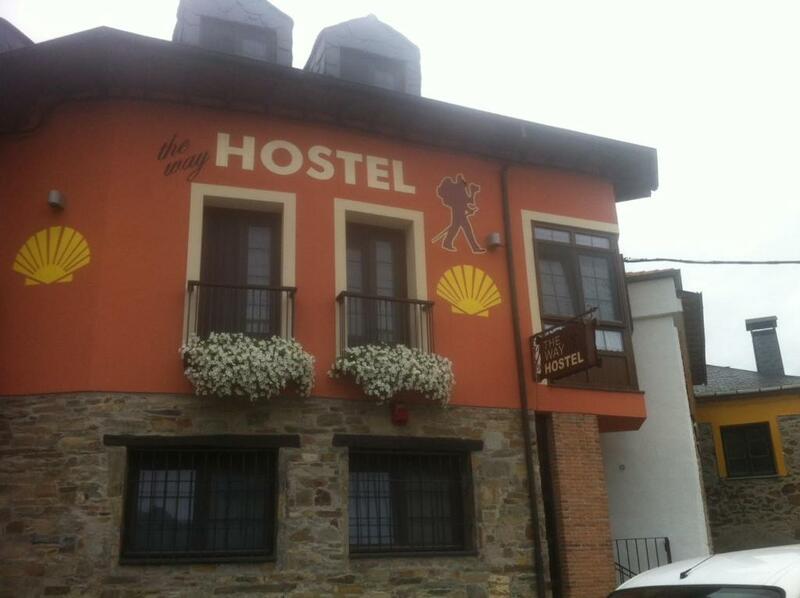 It’s nice and comfortable, but if you are limiting yourself to a few hotels on the Camino, this is one to skip. We ate in the hotel restaurant and walked the property, with little excitement. It was clean and modern, but hardly up to the standards of other great hotels along the route. We would probably do more research before choosing this hotel in Sahagun. Pros-It’s clean. It’s big. It has a restaurant. Cons—It doesn’t match the historic Camino hotel options in other towns. The Hotel Q!H is located on a side street, with a view of the side of the great cathedral of Leon. It gets a very low Booking.com rating, although we aren’t sure why that is. The hotel is small, and our modest room had a narrow veranda that allowed us to see the cathedral. The coolest feature was an indoor pool/spa area reached by elevator at the bottom of the hotel. We visited that twice during our two night stay. It was very relaxing. We loved the hotel’s location and the receptionists were kind and helpful. The room was a bit cramped, though, but we enjoyed it. Are there better places to stay in Leon? Yes, definitely, but the Q!H was a comfortable, reasonably quiet spot. Cons—Nothing very special about the hotel. Room was small. This hotel is AWESOME!!! It’s an Eighteenth Century palace converted into a Twenty-First Century palace/hotel. We stayed in a room that was well over 1,000 square feet, with a large, spacious, wonderful, bathroom. The room overlooked the beautiful courtyard with running fountain. The proprietor is an all-star. The honor bar for refreshments was a cool change of place. Hotel Posada once welcomed Napoleon. He stayed here when it was the palace of Earl of Tepa. If it was good enough for him, it was more than enough for us. We rank this charming, historic, beautiful hotel as among the best we’ve ever visited anywhere…anywhere. We loved it enough that we changed our plans and for two days on the Camino, we called cabs at the end of our walks and taxied back to spend the nights at this hotel. We would then taxi back in the morning to begin walking at the point we had ended walking the day before. We know that isn’t very Pilgrim-like, but we absolutely loved this hotel. Pros—Everything. It’s located near the Gaudi Palace and not far from the main square. The proprietor was great—among a handful of great hosts along the route. The grounds and hotel are beautiful. Cons—None. Couldn’t find one thing we disliked about this great hotel. If you can only stay at one hotel on the Camino, stay here!!! Molinaseca is such a beautiful little village. The river with the gorgeous bridge make it such a picture-postcard spot. The Way Hotel is located just off the bridge and very near the Camino. When we reached the hotel, we were met by Matti, who told us that he had traveled the Camino 27 times, and assured us that this hotel was prepared to offer exactly what Pilgrims needed. He was right. Our second floor, two-room suite was very large and could easily have housed six or eight people. It wasn’t fancy, but convenient, quiet, very comfortable. Perhaps overpriced, the hotel is a great little spot in this very pretty location. We liked it. Pros—Location is great. Very Camino focused. It’s exactly what Pilgrims need to get recharged. Cons—Simple, but the price is high compared to other hotels on the route. 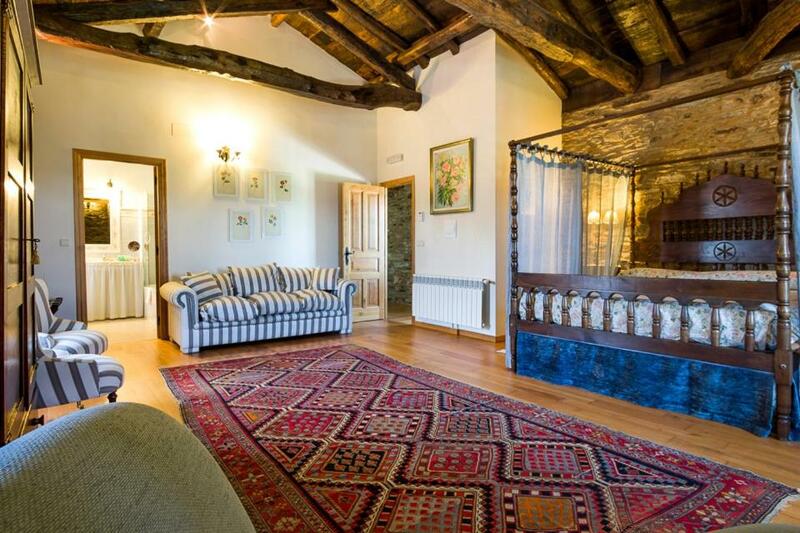 It’s a short walk from Molinaseca to Ponferrada, but we could not imagine missing stays at either of these places. While Molinaseca is quiet and picturesque, Ponferrada is a bustling small city, with the famous Templar castle. We stayed at the Hotel Aroi Bierzo Plaza with a second floor room overlooking the main plaza and a short walk to the castle. The hotel had a busy bar with outdoor seating, and was located very close to other restaurant/bars. A great breakfast spot was located to our right, and a nice Italian restaurant was to our left. The room was smallish and quite modern with some exposed brick and a small balcony overlooking the square. Frankly, it was more than adequate, although our interest was in the castle and other features of this beautiful city. We loved our stay, although the hotel room does not stand out. We loved Ponferrada which probably influences our feelings about our stay at the hotel. Pros-Location, location, location, and the city of Ponferrada. Modern with some style in the public areas. Cons-The room may have been smallish. The front desk was occupied with activities in the accompanying bar. It’s a grind trekking from Ponferrada to Las Herrerias along a busy, winding road. This may have been our least favorite Camino walk. It felt dangerous. 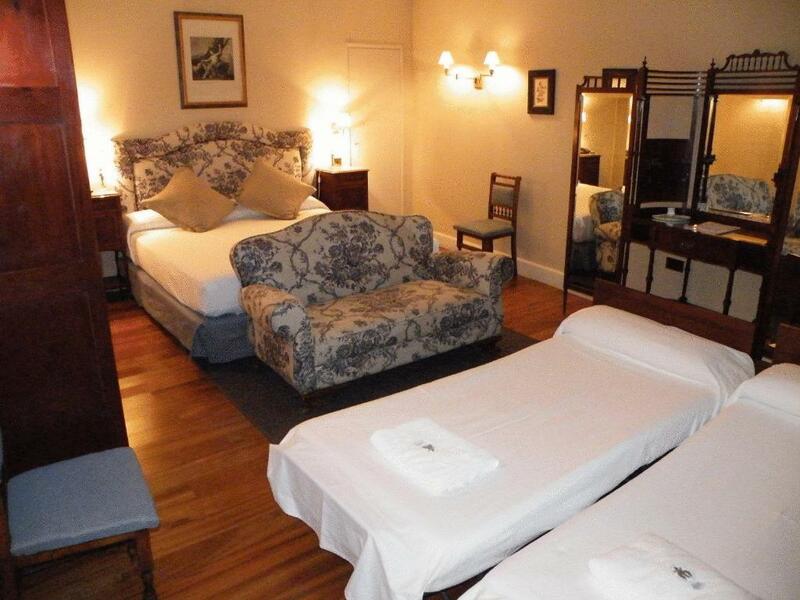 Therefore, we were very excited to find our hotel, Paraiso del Bierzo, located about two kilometers from town. We did like the large suite where we found ourselves in this self-contained hotel. It was a second floor very large room with a large attached veranda overlooking fields and streams. It was a beautiful spot. The room was very neat and rustic. The bar below had a nice little restaurant and we spent lots of time talking to other Pilgrims who were also hotel guests. We really liked the proprietor. He took great care of us, and the hotel had a very welcoming and wonderful vibe. Pros—Great proprietor and staff. Hotel is terrific. Lots of space. Very comfortable. Cons—Perhaps the out-of-town location, but the price was among the lowest and the hotel was very nice. This guesthouse is one of the more modest hotels that we visited on the Camino. It’s located near the St Julian Monastery and is relies on Camino visitors. The room was upstairs and quiet. The hotel sits next to the town’s busiest bar. 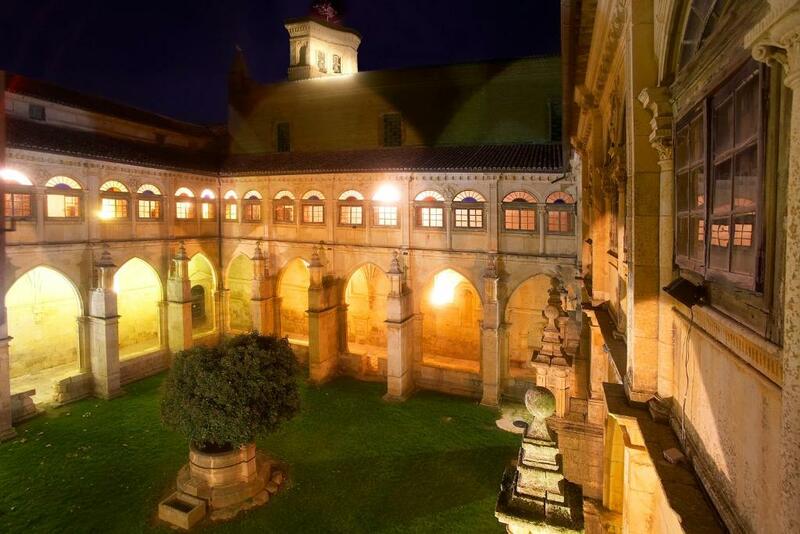 We enjoyed the quiet and really just detoxed from the amazing nights we enjoyed in Astorga. Pros—It’s easy to find. Clean, neat, reasonable sized room. Near the bar for dinner. Cons-No style of any kind. Sarria is Pilgrim central. It is the starting point for many Pilgrims who are interested in meeting the 100 kilometer mark to qualify for the Compostella given out in Santiago. And Hotel Alfonso IX is the base for many of those new Pilgrims. The hotel was buzzing with rookies when we were there. Pilgrims of all ages filled this reasonably modern hotel. It was a reality check after the solitude of most of the Camino hotels. We enjoyed the hotel. It is modern, clean and nice. It reminded us of Marriott hotels in the Midwest. We ate at the restaurant, and stayed here two nights—taking a taxi back from Portomarin to avoid our intended hotel—which was too rustic for our interest. Overall, the hotel is excellent. The location is near a busy plaza overlooking a river. 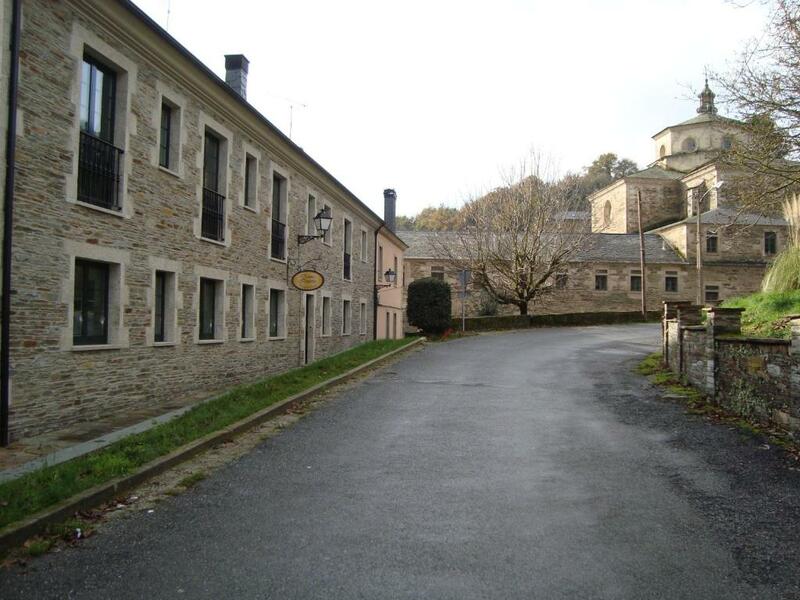 It is Pilgrim Central and a great place to stay before starting a Camino in Sarria. It must be the best option in Sarria, although it can’t match others along the route. Pros-Well staffed, nice location, clean and modern. Cons—This hotel is really nothing special. We liked it. Just didn’t love it. Lots and lots of fresh faces, who dashed onto the trail and rushed for five or six kilometers—we sloggers passed them within two hours when they sat along the route with shoes off, tending to new blisters. 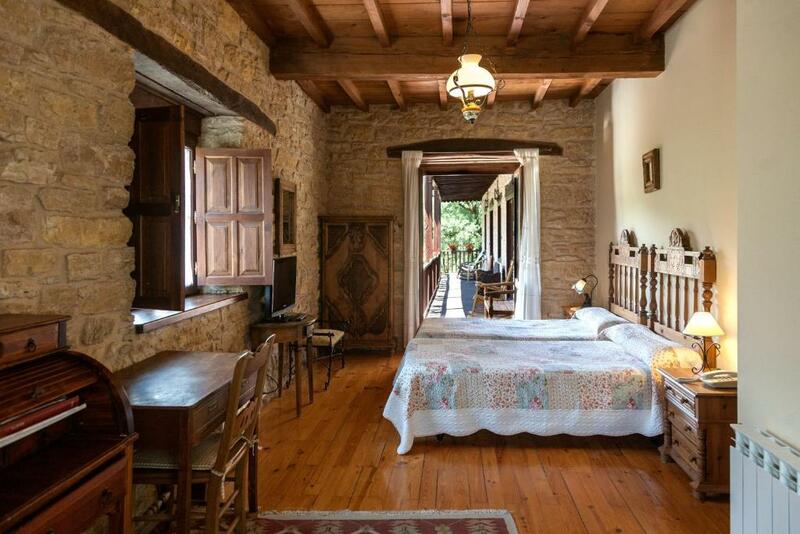 When we arrived in Palas de Rei, we were very concerned when we couldn’t find this apartment. We eventually phoned the contact number, got directions and found the building that housed our second floor apartment. And that is what it is—a two bedroom apartment overlooking a busy street. We went to a nearby shop and found food for Jackie to cook for dinner. We loved the experience and used the bathroom to wash our Camino clothes for the final time. The apartment was neat and well-stocked with cooking utensils, pots and pans. The bedrooms and living room were modest. The experience was escellent and we would schedule this again. It was different than any other experiences. Cons-No services, no desk clerk, difficult to find. We liked it though. Guesthouse Pazo Santa Maria is located about one-half mile from the Camino, but it is more than worth the extra effort to visit. The Eighteenth Century property is actually a collection of small apartments with a reception and restaurant area at the center. It’s great!!! We were met at the reception area with a glass of red wine and treated like royalty for the visit. We met several new friends at this hotel and really loved dinner at the restaurant. The room featured exposed brick and beams. The bathroom was well appointed. The four poster bed was big and stylish. The visit was first-class. We loved it and include it as among the best places to stay on the Camino. 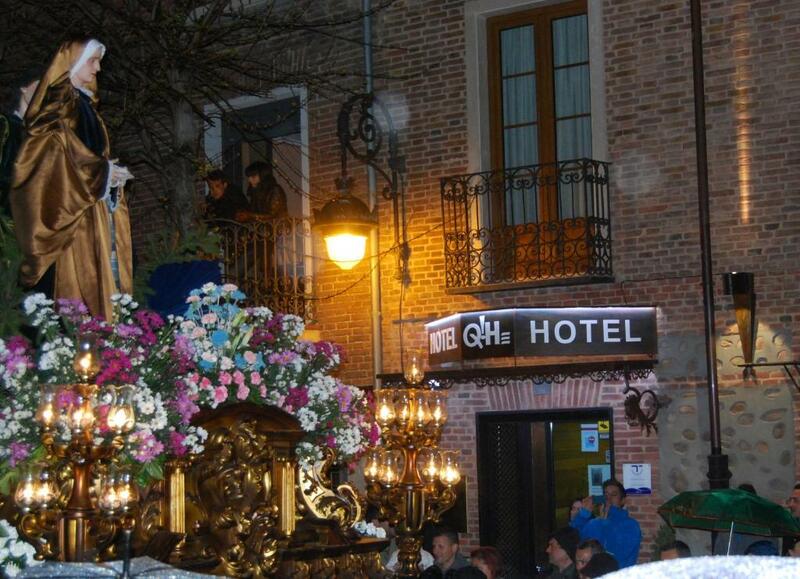 I know this is a featured hotel for some of the specialty travel groups who do guided Camino trips. Pros-Property and room were beautiful. Restaurant was excellent. Cons-It’s a little ways from the Camino route, but worth it. There aren’t a lot of options in the O Pino area. We, and some Camino friends that we had met along the way, chose Hotel O Pino. It wasn’t much of an option. This small hotel features small rooms with paper thin walls. It is reminiscent of a 1950-style turnpike hotel in the states. It was saved by our company on the walk. We loved the rest of the Pilgrims who were staying there and had a great time outside sharing Camino stories. Food options are limited in this area, as well. We grabbed a cab and taxied to Santiago for McDonald’s, then taxied back to our depressing little room. It is probably all that is available near the route and it wasn’t horrible…just humbling. Cons-Thin walls, no style at all. Overpriced at 50 Euro. Ahhhh Santiago, what a great city with many, many hotel options. We chose Hotel Montenegro and liked it. 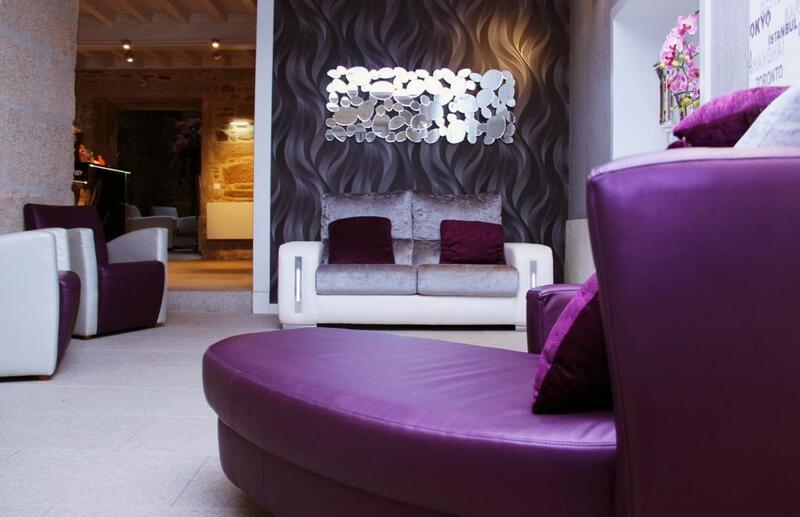 The hotel is a boutique hotel located several blocks from the cathedral. We had a two room suite that had lots of space and was very nice. The reception area was beautiful. Because of the compact lobby, there really is no chance of meeting other Pilgrims in the hotel, but service was excellent and we liked our digs. There are less expensive rooms, but we the increased space allowed us to easily sort through our backpacks and prepare for the return home. The hotel is located across the street from a very nice restaurant, where we enjoyed champagne to celebrate our accomplishment, along with a great meal. We are sure there are better options in Santiago, this was simply our choice. It was convenient, comfortable and quiet. Pros-Excellent service and big suite. Nice, very nice. Cons—None. Just a little unexciting after visiting so many amazing hotels. We probably expected more in Santiago. ***In summary of our trip: We stayed at some extraordinary hotels and some very ordinary. We made all reservations using booking.com, and many of the photos used on our entries regarding these hotels come from booking.com. We don’t suggest that Pilgrims stay only at hotels, the poor food choices in some villages suggest that albergues would have had much better food offerings, but we are publishing this as a research tool for those planning the walk and looking for potential hotels along the way.